This book offers a critical examination of the way in which the nature and governance of international labour migration is changing within a globalizing environment. 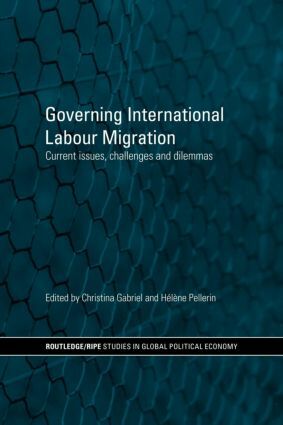 It examines how labour mobility and the governance of labour migration are changing by exploring the links between political economy and differentiated forms of labour migration. Additionally, it considers the effects of new social models of inclusion and exclusion on labour migration. Therefore, the book troubles the conventional dichotomies and categorizations – permanent vs. temporary; skilled vs. unskilled; legal vs. illegal -- that have informed migration studies and regulatory frameworks. Theoretically, this volume contributes to an ongoing project of reframing the study of migration within politics and international relations. Bringing together an interdisciplinary group of scholars, drawing on examples from the European Union, North America and Asia, Governing International Labour Migration will be of interest to students and scholars of migration studies, IPE, international relations, and economics.